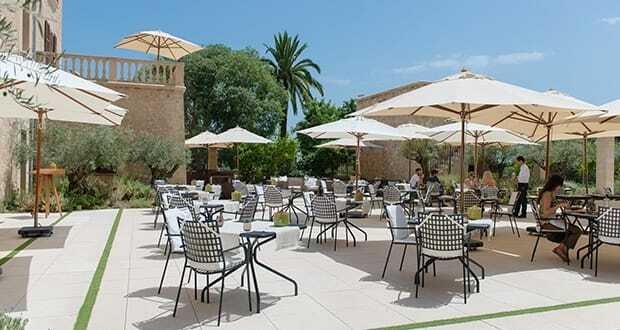 Fine Spanish/Med cuisine in a luxury country-house hotel. 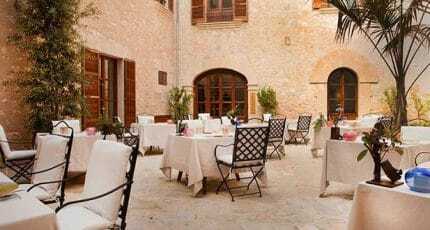 This gastronomic restaurant is in the 5-star Castell Son Claret hotel (seasonal), set in rural surroundings near Es Capdellà. Olivera is open daily from February to November. 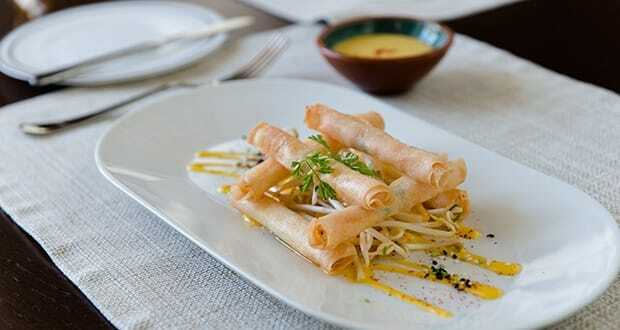 The concept for this Spanish/Mediterranean restaurant was created and developed by Fernando P. Arellano, of the hotel’s other restaurant Zaranda – which has two Michelin stars. 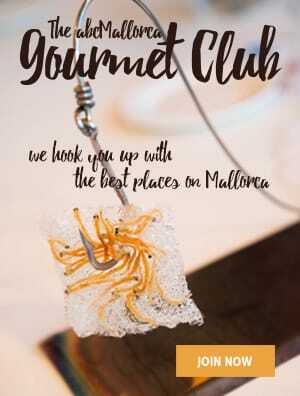 You eat in the smart contemporary dining room or on the attractive terrace, with views of the hotel’s swimming pool, landscaped gardens, and lovely countryside in this part of southwest Mallorca. 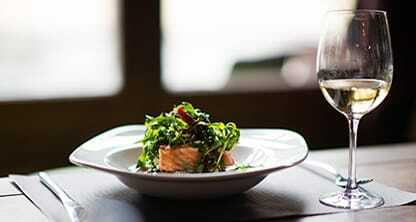 Olivera has an à la carte menu and, from Monday to Friday, a weekly menu. Best-quality seasonal local produce is used with passion and a commitment to quality. 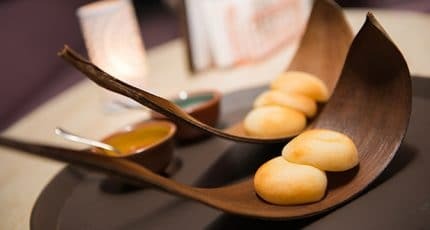 Bread, baked products, and pastas are made in the hotel’s in-house bakery. Olivera offers a generous buffet breakfast, as well as lunch and dinner; the latter is a particularly memorable gastronomic experience on a beautiful summer’s evening. Chef Pep Forteza heads the Olivera kitchen. This chef has more than 24 years’ experience in renowned hotels, including Castillo Hotel Son Vida and the Hilton on Mallorca. 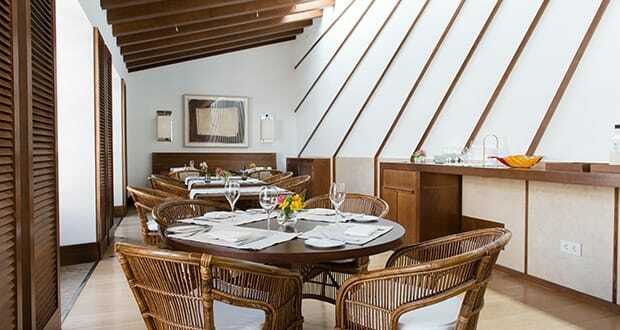 His collaboration with Fernando P. Arellano began when Zaranda was located at the Hilton Sa Torre Hotel on Mallorca. He is committed to the tradition of Mediterranean cuisine, endowing it with cutting-edge touches and meticulous presentation. 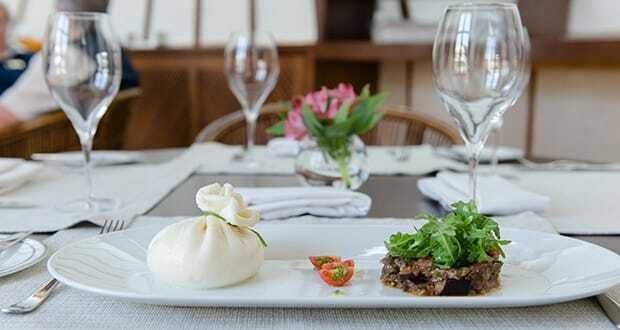 Amongst the chef’s signature dishes are: roasted octopus with chives & romesco; home-made burrata of milk from Menorcan cows, with salad; aubergine caponata; cod confit with pea and peppermint emulsion and ‘butifarró’, and the Iberian ‘secreto’ in honey dressing with ‘pa amb ol de escalibada’. 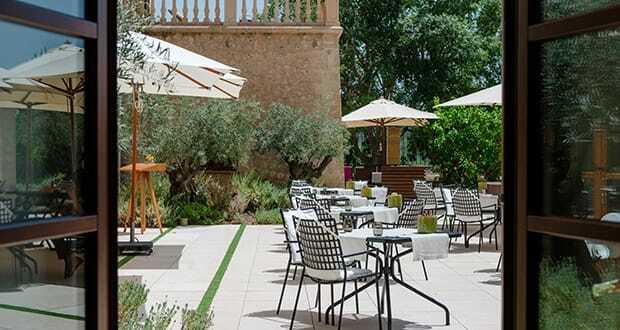 The rurally located Castell Son Claret is reached at the end of an impressive gated palm-tree-lined drive, with ample parking space; a valet-parking service is available at the hotel’s entrance if you prefer not to walk from the car park up through the garden. Olivera Restaurant has views over its terrace. 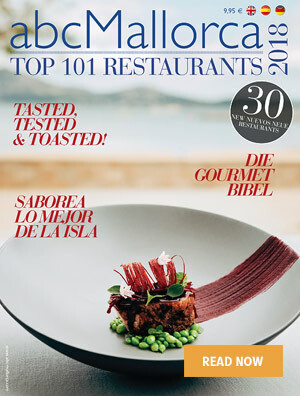 We hope you have found this article about the Olivera restaurant in Es Capdellà useful and that you have many memorable stays in Mallorca as a result of our recommendations.